Kurt Bloch Becker graduated MA from the University in 1907 to study Theology. He was born at Berlin, but his hometown was Glasgow when he matriculated at the University in 1905, aged 17. Block took classes in Greek, Latin, German, English, Logic, Moral Philosophy, Bible Criticism, Hebrew, and Church History. 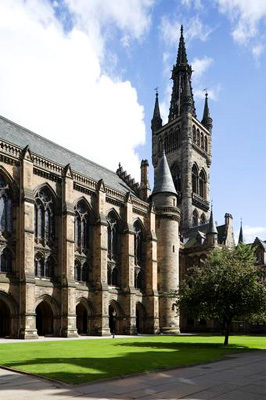 After graduation in 1907 Becker went on to study at Edinburgh Theological College, returning to the University of Glasgow in the summer session of 1912 for a Hebrew class. Becker became a Scottish Episcopal clergyman at St Mary’s Cathedral, Glasgow from 1911 to 1921, including at St Saviour’s from 1919 until 1921. He served as priest-in-charge at Clydebank from 1926. In 1934 he served at Emmanuel Church, Forest Gate, Essex.